GoPro has just added a new, cheaper Hero camera to its lineup of action cameras. Simply called 'Hero', the new action camera features a 2-inch touch display, is waterproof to 30 feet, and costs just £199 ($199 in the US). And why not stick your action camera on one of these top drones? The new Hero is a similar price to the existing GoPro Session, but features the Hero6's design and touchscreen, making it more user-friendly. It also features advanced functions such as voice control, video stabilisation, and compatibility with the GoPro smartphone app. That's very impressive for an action camera which costs less than £200. The main differences lie in the image quality. While the range-topping Hero6 Black can record in 4K, the new Hero tops out a 1440p at 60fps (which is still pretty respectable), and photo quality is limited to 10-megapixels. Of course, the Hero is also compatible the GoPro's extensive range of accessories and mounts. Whether the new entry-level model replaces the Session is currently unclear. 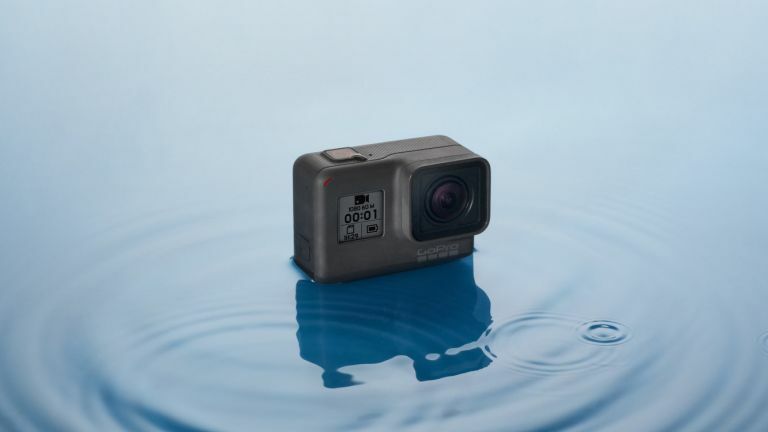 The Verge reports that GoPro will continue to sell the compact model, and that the "company says it simply wanted to get a touchscreen into its entry-level model". But we've checked GoPro's website and it seems the Session's existence has been erased. We've reached out to GoPro for clarification.